Make the most of your piano by enjoying its full potential with an accurate and precise piano tuning provided by Rob Harley Piano Forte. I tune pianos by ear, striving to achieve the sweetest sound possible from your instrument. Whether you are a beginning student or a professional musician, you will appreciate the sound quality of your well-tuned piano. Generally pianos should be tuned twice a year, preferably in winter and summer. It is best to allow your piano a few weeks to acclimatize itself to seasonal changes before having it tuned. Depending on the use of your piano, you may decide to have more or less frequent tunings. The strings of a piano exert thousands of pounds of pressure on the structure of a piano. This constant pressure, combined with changes in humidity and temperature, results in changes of tension on individual piano strings over time. Any change in tension in a string will change the pitch of its corresponding note. Also, tuning pins (the pins around which piano strings are wound and which are adjusted during a tuning) can slip over time, especially in older instruments. 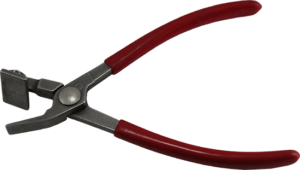 This slipping results in the flattening of the pitch of the string. When a piano goes out of tune it is often described as sounding tinny or “honky tonky”. On occasion pianos can be so out of tune that a beginning student has difficulty knowing if they are playing the correct note. I tune pianos by ear after having established both electronically and with a tuning fork the starting position for the A above middle C at 440 Hz. This is known as Concert Pitch which is the agreed upon standard for all musical instruments. All other notes on the piano are tuned by ear relative to this starting position in such a way that the piano sounds equally in tune when played in all keys. 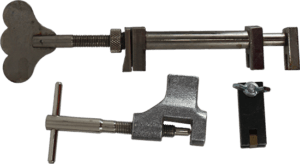 A tuning hammer, which is actually a specialized socket wrench, is used to manipulate the tuning pin in order to increase or decrease tension on a piano string. This results in an increase or decrease in the pitch of the note created when the key on the piano is played. While a piano only has 88 notes, it has over 200 strings and each string must be accurately tuned individually. Tuning usually takes approximately 2 hours and requires a quiet room with little or no external noise sources. If a piano has been allowed to go too far out of tune it may require more than one tuning, or a “double tuning”, in order to restore its pitch to Concert Pitch. Sometimes it is not possible to restore a piano to Concert Pitch without extensive repair. In this case, the piano can be made to be in tune with itself but pitched somewhere below Concert Pitch. A quick evaluation of your piano can determine its current pitch and its ability to be tuned and to hold a tune. In the case of older pianos, I will advise you on the options and the best strategy for tuning your piano. I have had over ten years experience servicing and repairing many makes of pianos. In all cases, an estimate of the cost of the repair and the effects and benefits the repair will have for the piano are provided to the piano owner. Most often, repairs can be quickly and efficiently performed on location. Even larger jobs such as restringing a piano can be accomplished at your site. More rarely, part of the piano or all of the piano may need to be relocated in order for repairs to be properly administered. On occasion specialized restoration work such as pinblock or soundboard replacement may be required and for this I would refer the piano to colleagues in the industry who have the facilities to undertake these more extensive repairs. Complete sales, installation and service of Piano Life Saver System for upright and grand pianos. Help protect your piano from the damages caused by fluctuations in humidity and temperature with a Piano Life Saver System professionally installed and maintained by Rob Harley Piano Forte. Piano Life Saver System are custom fitted for each piano. A climate control system will dehumidify during periods of high humidity and will humidify during periods of low humidity. A Piano Life Saver System will also maintain proper humidity levels during temperature variations, particularly in situations where the piano is regularly exposed to varying temperatures. Fluctuations in humidity and temperature can result in cracked soundboards and bridge caps, sticky keys and can also affect tuning stability. 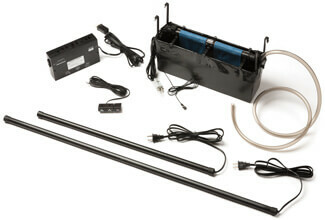 A Piano Life Saver System will maintain proper humidity levels within the piano’s environment and will soon pay for itself with less frequent tuning required. In addition, by protecting the important wooden components of your piano the life of your piano can be extended considerably. 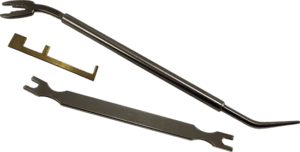 Avoid potentially costly repairs and extend the life of your piano with the installation of a Piano Life Saver System. Sticking keys is a problem that many people experience with their piano from time to time. A key that fails to return to its proper rest position or will not respond to quick repetitions of a note can be very frustrating to a piano player. 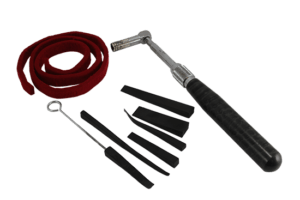 There are many possible causes for a sticking key. One common cause is foreign objects that have been dropped into the piano. Conditions of high humidity can result in swollen felt and wood in a piano’s moving parts. 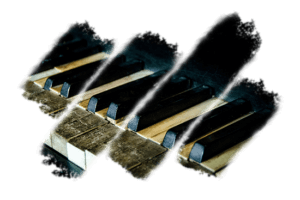 Excessive humidity can also result in accumulation of dirt and corrosion that can hinder a piano’s playability. Broken action parts and weak springs can also lead to sticking keys. After inspecting the piano and identifying the cause of the sticking key, repairs can be effected by either cleaning, lubricating, sanding or adjusting the problem area of the piano. Problems of humidity can come and go with the seasons. For a more permanent solution, the installation of a Dampp Chaser Climate Control System will protect the piano from humidity changes. Missing, broken or chipped keytops not only affect the appearance of your piano but can also affect the playability of your instrument. A key with a missing top will not sit level with its neighbours and will prove to be a hindrance for a new student learning to play the piano and also for an accomplished player trying to achieve proper dynamics in a piece of music. Broken and chipped keytops can be sharp and hard on fingertips. Keytop replacement is a relatively easy repair but requires the proper glue, clamps and patience to do a professional job. Matching thickness and size is important for the playability of the piano while matching colour is important for the aesthetics of the piano. Replacement keytops for most plastic keys are readily available. Many older pianos, however, have keytops made of real ivory. Real ivory keytops can be identified by the visible grain in the keytop, similar in appearance to growth rings in wood. Matching ivory keytops can be a challenge. Ivory is no longer used for keytop material, and rightly so. It may be possible to replace missing ivory keytops with parts salvaged from another old piano. If your piano has been neglected for many years it is very likely that your piano will be considerably flat in pitch. A piano that has gone un-tuned for a long period of time may be a semitone or more below concert pitch. Concert pitch is the agreed upon worldwide standard of tuning instruments where the note “A” above middle “C” has the frequency of 440 Hz and the other notes are tuned relative to A440. Your piano may even have been previously “tuned” by a tuner to a lower pitch in order to avoid the extra work required to raise the pitch back to concert pitch. Sometimes structural instabilities in the piano can make it impossible to return the instrument back to concert pitch but often this is not the case. A piano tuned below concert pitch will lack clarity and brightness. A flat piano cannot accompany other properly tuned instruments and will hinder vocalists in their efforts to learn to sing at proper pitch. During a tuning session, if your piano is structurally stable and the strings are not too rusty, your piano can be returned to concert pitch. This will require what is known as a “double tuning” or a “pitch correction” which can usually be achieved in one visit. The end result will be a much better sounding instrument and one that will enhance your musical experience on many levels. Over time the mechanical action in a piano will begin to decline through being played and through the effects that changes in humidity and temperature can have on the wood, felt, leather and cloth parts of a piano. The combined effects of this wear and tear result in a piano that feels uneven, is unresponsive to subtle changes in the dynamics of the player and generally lacks lustre in its tone and precision in its playing. Through the process known as “regulation”, a piano can be brought back to its original playability, tonal quality and factory specifications. Depending on the condition of the piano, the regulation process can take anywhere from a few hours to several days. Many, and sometimes all, of the regulation adjustments can be performed on site, although in some cases it is more cost effective and convenient to remove parts of a piano action and perform regulation adjustments in the technician’s workshop. Pianos have two or three pedals. The pedal on the right hand side is the sustain pedal and functions to lift all of the dampers from the strings in unison so that the notes played can ring freely and the rest of the piano can also reverberate until the pedal is disengaged and the damper is returned to the strings, stopping all vibration. The middle pedal on a grand piano is the sostenuto pedal which functions to allow individual selected notes to sustain while subsequent notes played do not. The middle pedal on an upright piano performs a variety of functions depending on the manufacturer. Usually it serves to sustain only the bass notes but sometimes it operates a muting felt which, when engaged, allows for quiet practice. The pedal on the left hand side is a soft pedal. On a grand piano the soft pedal moves all 88 keys to the right causing the hammers to hit only one string in a bichord (a note in which two strings are struck in unison by an individual hammer) or only two strings in a trichord (a note in which three strings are struck in unison by an individual hammer) thus creating a quieter sound in the piano. 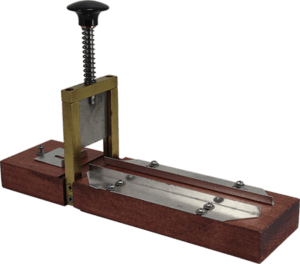 On an upright piano the soft pedal lifts the entire hammer rail (a horizontal rail inside the piano on which all 88 hammers rest), moving all of the hammers slightly closer to the string decreasing the velocity of the hammers and subsequently the volume coming from the piano. If a piano only has two pedals, the right pedal will be the sustain pedal and the left pedal will be the soft pedal. Pedals can suffer from problems such as sticking and squeaking, slow response (lost motion) or failure to function at all. Problems with pedals can often be corrected with minor adjustments and lubrication or replacement of worn felt and rubber bushings. Badly worn trapwork and/or dampers can sometimes require much more extensive restoration work. 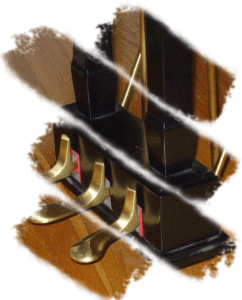 Properly functioning pedals will make for a much more enjoyable piano playing experience. From time to time your piano may develop squeaks, rattles or buzzing noises. Piano technicians can employ the use of a variety of lubricants to eliminate squeaking and sticking parts in your piano. Rattles or buzzing noises are sometimes caused by foreign objects that have fallen onto the strings or the soundboard. Other times these noises are caused by various pieces of hardware such as screws, nuts and bolts that need to be tightened, especially during the dry winter months. Occasionally buzzing noises are caused by more serious problems such as a cracked soundboard or a bass string whose brass windings have become broken. While many squeaks, buzzes and rattles can be easily fixed at no extra cost while the piano is being tuned, noises caused by more serious problems could require extensive repair.